BB king, Albert King, Sons Seals, Otis Rush, Detroit Blues Band, Larry Davis, Bobby Bland, Albert Collins, Robert Noll, Elvin Bishop, Donald Kinsey, Big Rogers, Billy Davis, Arkansas Red, Little Jr. Canaday, Bob Jenkins, Jimmy Burns, Jerry Garcia, Energy, The Yazoo City Players, The Sharecroppers of Soul, & The Light Fingered Four, and The Boogie Boy – Paul Ambach. 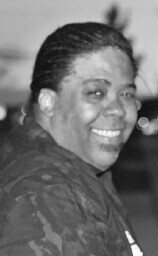 A native Detroiter, blues bass player and vocalist James Cloyd, Jr. has performed in every state in the nation, as well as in countries throughout the world. A favorite on the Chicago blues scene, James is a regular at Chicago-area nightspots such as Buddy Guys’ Legends, Kingston Mines, Blues, Blue Chicago, Blues E.T.C. Blue Note, Lee’s Unleaded, Checkerboard, The China Club, Café Lura, Tip On Inn, Biddie Mulligan’s, and T.D.’s Pub. Detroit; The Soup Kitchen, Sully’s, River Rock Café, The Blind Pig. Michigan; Slippery Noodle, Sharon’s Cove, Center Street. Wisconsin; Silver Moon, the entire University of Wisconsin campuses, The Lone Star Café, & The Lone Star Roadhouse. New York; JJ’s, Club Lingerie, Sea winds, Ford Theatre. Kansas; Coach and Horse, Albert’s Hall. Ontario; Ontario Blues Society of Sudbury, Ice House. And many Clubs throughout Europe. Receiving rave reviews at home and abroad, James Cloyd, Jr. has performed in everything from the chitlin’ circuit to the college circuit, in the Chicago Blues festival tour, the Southern California Blues Festival, the Detroit Blues Festival, and the Jazz Me Blue European Concert Series.